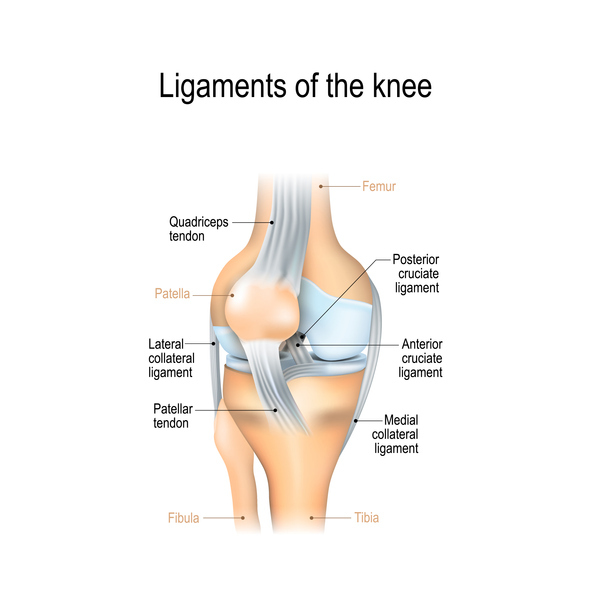 The posterior cruciate ligament (PCL) and the anterior cruciate ligament (ACL) are two tough bands of fibrous tissue that connect the thighbone (femur) and the large bone of the lower leg (tibia) at the knee joint. Together, the ACL and PCL bridge the inside of the knee joint, forming an "X" pattern that stabilizes the knee against front-to-back and back-to-front forces. In particular, the PCL prevents the lower leg from slipping too far back in relation to the upper leg, especially when the knee is flexed (bent).